Sales of an educational software program developed by the Blaine County School District are rapidly expanding into the national market. The Mileposts Program, designed to help students with educational remediation, is now owned by Silverback Learning Solutions, a Boise-based company founded by former School District Superintendent Jim Lewis. The district licensed the software program to Lewis in 2010 in an agreement that gives it about an 8 percent cut on Mileposts earnings. The royalties do not go directly to the district, but instead to the Blaine County Education Foundation, a nonprofit organization that provides financial support to the district. Foundation Executive Director Mike Burchmore said the organization has received three quarterly payments from Silverback this year, totaling about $48,000, with each payment increasingly larger than the previous as sales of Mileposts expand. Burchmore said the most recent check, for the third quarter of 2012, was for $28,000. 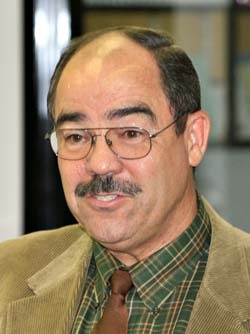 In an interview with Lewis while he was attending an education conference in Massachusetts, he said Mileposts is now being used in 32 school districts in Idaho and in school districts in 12 other states, including California, Connecticut, Montana, New Hampshire, North Carolina and Wyoming. On Wednesday, Silverback announced a partnership with Gooru, an educational Internet search engine company headquartered in Palo Alto, Calif. Lewis said the partnership allows links in the Mileposts application, giving teachers immediate access to Gooru online resources to help students with educational problems. The Mileposts Program provides an easily trackable system for teachers to use for intervening when a student is not progressing academically. The system can be used to identify the problem, provide goals for remediation, set up timetables for remedial work and provide assessments to show if the intervention is working. In the 2004-05 school year, 11.75 percent of the district’s students were classified as “special education.” By the 2009-10 school year, the percentage had dropped to 9.5 percent. That compares to a state average of 11.4 percent classified as special education in the 2004-05 school year and 10 percent in the 2009-10 school year. Mileposts was developed by school district teachers, administrators and computer experts from 2005-2008. In 2008, the district began sharing the program with other Idaho school districts, including Castleford, Twin Falls, Jerome, Shoshone, Gooding and Caldwell, at a cost to those districts of $5 per student per annum. Later the Filer, Minidoka and Cassia school districts began purchasing access to the program. In June of 2010, the Blaine County School District board of trustees voted unanimously to license Mileposts to Lewis and Silverback. At a June 8, 2010 school board meeting when the decision was made, district Business Manager Mike Chatterton explained to the board that the demand for Mileposts was getting too large for the district to adequately manage. “If we were going to develop this as a school district, we would have to hire a lot more programmers than we have on staff right now,” Chatterton said then, further explaining that a private company could further develop and market the program beyond the capabilities of the school district. Crocker released information to the Idaho Mountain Express on Wednesday showing that the Blaine County School District spent about $815,000 on Mileposts development, with most of the money attributable to staff salaries. The ndistrict received about $325,000 in revenue generated by Mileposts sales to other school districts, leaving a net Blaine County School District investment of about $490,000. However, Crocker explained that making money on Mileposts was not the intention of the school district when the program was developed. Burchmore said the Blaine County Education Foundation will be using funds from Mileposts sales to take over administrative costs of the organization, currently being paid by the school district, and to fund as yet undetermined “technology specific” initiatives for district schools. Lewis, describing Silverback as a “software startup company,” said proceeds to the district by way of the education foundation will continue to grow in the future. He noted that total investment costs for the company are still accumulating and could reach as high as $8 million before the company turns a profit. He said Silverback is now charging about $10 per student per annum with the exception of school districts in Idaho, which receive a 40 percent discount as agreed upon in the licensing contract with the Blaine County School District. “The verdict will be out on Silverback for another two or three years whether it will be a win-win for the investors,” Lewis said.